Meet Garett Jeffries, a welcome-back addition to the Stealth team. 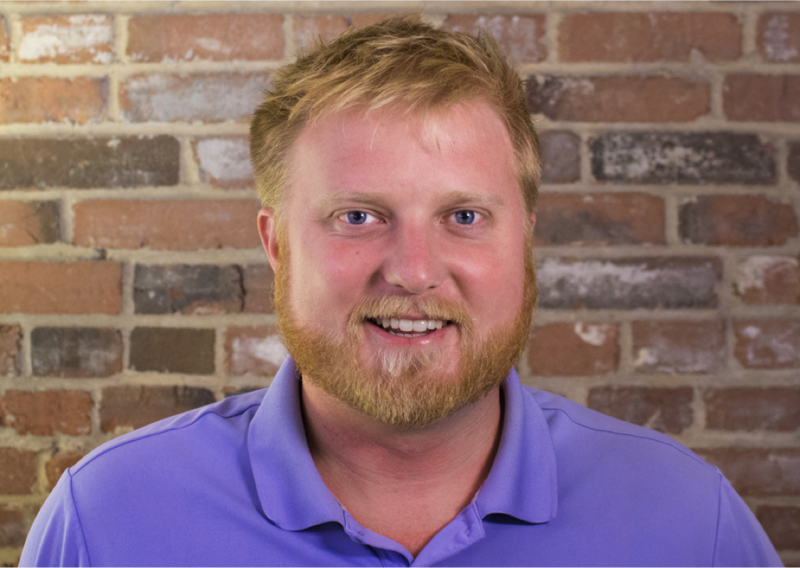 Garett worked at Stealth in the past in account management, and now steps in to head up Stealth's Joplin, MO, office. We asked him to take part in Stealth's tradition of seven crazy questions. Let's see how he answered. 1) What songs do you have completely memorized? 2) What’s your claim to fame? Or what dumb accomplishment are you most proud of? Randomly singing Phantom of the Opera at parties in the tone of Opera. 3) What’s worth spending more on to get the best? 4) Where is the most relaxing place you have ever been – and why? Stanford’s campus in Palo Alto, CA, is the most relaxing place I’ve ever been. Northern California has beautiful weather, and the campus always surprises me with a sense of calm whenever I'm there. Sure, I could have said some vacation destination, but that’s expected relaxation; Stanford surprises me every time. 5) What question can you ask to find out the most about a person? In St. Louis: Where did you go to high school? In Joplin: Where are you from? 6) What do you strongly suspect but have no proof of? 7) If your childhood had a smell what would it be – and why? A sweaty bowl cut. When I was a kid, the bowl cut was in style for both boys and girls. I also sweat a lot and was constantly outdoors, which is why the sweaty bowl cut definitely comes to mind! We're excited to welcome Garett back into the Stealth fold! Want to be notified anytime Stealth posts a new Off the Radar article? Sign-up by entering your email on the right-hand, top side of the page.